Now that you have been able to navigate the waters of insecurity, doubt and you have been able to get yourself out of frustration. Can we now be focused? Exercising self-discipline can make the difference between an averagely talented person doing something amazing with their lives and a naturally talented person realizing very little of their potential. 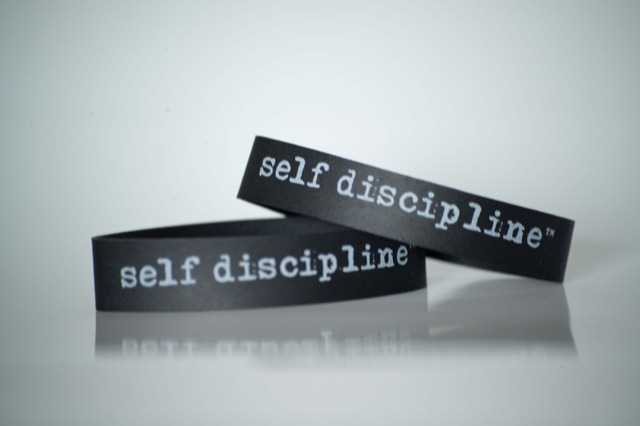 Many times people don't pursue more self discipline until they're in trouble. Natural talent counts for little unless it's supercharged by self-discipline. Repeating discipline is what makes it discipline. Without the repetition, its not discipline. Remember, this is just the genesis, whatever you do now is what you are likely to do for a long time. If you want to kill your excuses, get disciplined. Discipline doesn’t depend on your feelings. It's not whether you like it or not. You must train yourself to look past the constant nodding of your feelings and just push forward. Self discipline is all about doing what you don't want to do, but need to do. Things that will give you a better quality of life are worth pursuing. Let not your feeling determine your discipline. People say do it when it feels right, huh? No, do it when it doesn't feel right. Self-discipline is the cornerstone of effectiveness in life. You cannot allow yourself to make excuses or justify not doing what you should do. If we increase in self discipline then we have more control on starting out. If you want rest/enjoyment tomorrow, do today what is meant to be done today so that you don't have to labour/suffer tomorrow. Self discipline is the key. I've learnt some new things tho. Am glad, you were able to pick something. Thanks for reading. Very well written, well done Oga Wale. Discipline doesn't depend on your feelings....... I learned the hard way.